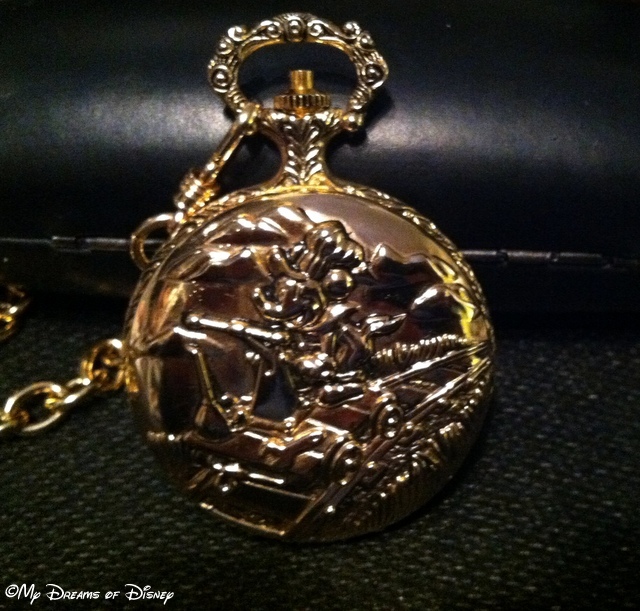 My new Disney Pocket Watch! 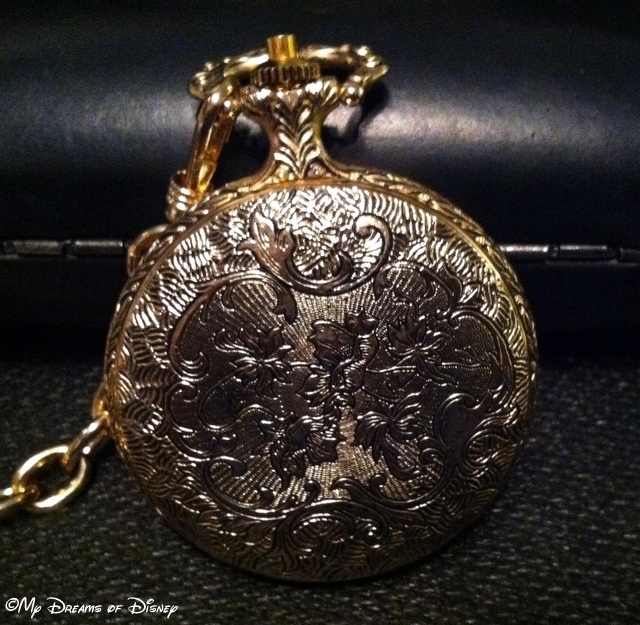 The Disney Pocket Watch I received for Christmas has a great depiction of Mickey Mouse! Yesterday, for Christmas, I received one of the coolest pieces of Disney memorabilia that I have ever received — my very first pocket watch, and a Disney pocket watch at that! One of my other passions (outside of Disney, of course) is for trains, and this pocket watch covers both my love of trains and my love for Disney! On the inside, as you see above, is a great depiction of Mickey Mouse as the engineer of our train, complete with his own wrench that he uses when he has a problem! One the front, pictured below, is Mickey again, this time using Mouse Power to make his handcar go! 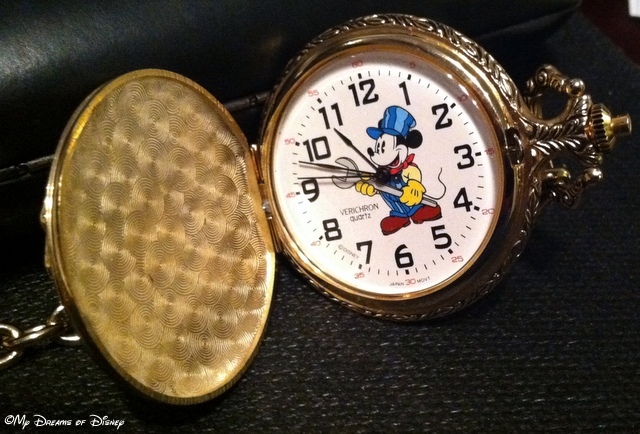 The front of my pocket watch is Mickey using his Handcar! This is the back side of my Mickey Pocketwatch! The watch manufacturer is Verichron, who I don’t know, but you can find them all over eBay if you are interested in acquiring one for yourself! Thank you for stopping by, and letting me show you my newest Disney treasure! I hope you had a wonderful Christmas, full of laughter, fun, love, good food, and celebration at the birth of Jesus!